MALTA — With six outs left and down a run, Ballston Spa softball came back in a huge way as they scored six runs in the sixth inning and upended Cicero-North Syracuse on Thursday afternoon at Luther Forest Field by a final score of 6-1. After a few innings of the game being 0-0, Cicero struck first in the top of the fifth inning courtesy of an RBI single from Giana Wameling that made it 1-0 NorthStars. In the bottom of the fifth, Ballston Spa quickly got runners on first and second with no outs, giving them a golden chance to tie the game. However, three straight outs later, the inning was over without a run, keeping Ballston Spa down 1-0 and down to their final six outs of the season. The bottom of the sixth presented a similar situation, runners on first and second with no outs. Cicero starting pitcher Ariana Corasaniti was pulled in favor of Lindsey Richards. Richards recorded the first out of the inning, but that was when the Ballston Spa offense came alive. Jillian Nitchman drew a walk to load the bases. The next batter was Caroline Srokowski, and on the ninth pitch of the at-bat, she ripped a single to tie the game at one. The next hitter, Alison Sgambati, came through with the biggest hit of the afternoon as she singled and got to third on errors, plating three more runs and giving the Scotties a 4-1 advantage. “(Caroline) definitely took some of the pressure off. She’s a great batter, and I’m so happy she’s on our team, and everybody just helped out the team. This is a great team win,” Sgambati said. The two big hits of the day came from the eighth and ninth hitters in the lineup, and head coach Amanda Fifield praised her team’s depth and ability to hit throughout the order. “Toby (Youngblood), my assistant coach, (and I) said it’s going to come down to the bottom of the order coming through, and that’s exactly what happened. We know one through nine is going to hit, and it’s timely hitting for them. They came through at the right time,” Fifield said. Later in the inning, Ana Gold and Grace Thompson came through with RBI singles to tack on two runs and extend the lead to 6-1. “It’s just something that never giving up, having each other’s backs, it’s a continual theme that we have. We know we can come back from anything. The perseverance, the adversity we’ve started with since the beginning of the year, the mental toughness we’ve built since day one has shown today,” Fifield said. Ballston Spa will now advance to the state semifinals for the second time in three years, and they believe that their experience that they had two years ago will benefit in this year’s run. The state semifinal game will be played on Saturday, June 9, against either Section VIII champion East Meadow or Section XI champion Longwood. The game will be played at Moreau Field in South Glens Falls at 9 a.m. with a potential state championship game to be held later that afternoon.  The Upstate Courier is a nonprofit news organization dedicated to delivering reliable, independent and essential coverage to underserved communities in Upstate New York. © 2019 - The Upstate Courier. All Rights Reserved. You cannot print contents of this website.